Home / blood stem cells / different types of cells / health / hematopoietic stem cells / mesenchymal stem cells / placental stem cells / What Are Placental Stem Cells and Used For ? What Are Placental Stem Cells and Used For ? The placenta is an organ in the body that connects the growing fetus to the uterine wall, allowing the nutrients to flow, hormones, and gases between the mother and embryo during pregnancy. It is a maternal-fetal organ that connects the fetus and the mother during pregnancy. The placenta has many functions, but its prime purpose is to carry oxygen and nutrients from the mother to the fetus and facilitate the release of carbon dioxide and excreta from the developing fetus. The placenta is rich in blood vessels due to its transporting of oxygen and carbon dioxide. The placenta and the fetal membranes are separated from the mother during the birthing process. However, after childbirth, the blood that remains in the placenta can be collected and stored for further use. Look up hip stem cell Dallas for treatment of damaged or injured hip. What Are Placental Stem Cells? Placental Stem Cells are a kind of perinatal stem cells that are derived from the placental tissue or blood. Perinatal is a term used to define the short time before or after birth. The blood remains in the placenta after giving birth. The placental blood and tissue are a great source of stem cells. Other components that are included in the afterbirth are the umbilical cord blood and umbilical cord tissue. These tissues are rich in hematopoietic stem cells (HSCs), and mesenchymal stem cells (MSCs), respectively. Different perinatal stem cell types are used for stem cell injections and treatments. For instance, umbilical cord blood stem cells are used for hematopoietic stem cell transplantation (HSCT). Mesenchymal stem cells from the umbilical cord tissue are also being used in clinical trials. However, placental stem cell injections are uncommon, because most placental stem cell therapies require clinical trial pathways. Placental blood is the blood that stays in the blood vessels of the placenta after the baby is born. It is collected after all the cord blood is collected. This blood contains cells that are similar to those found in the cord blood, including hematopoietic stem cells that make blood cells. The reason placental blood unique is that is it contains a larger concentration of specific stem cells, and in more immature stages of development in comparison to cord blood. This is essential because the number of stem cells used in the treatment has been linked to transplant outcome, and more immature cells are less likely to call upon a graft-versus-host response in the transplant recipient. Placental blood also holds a greater fraction of a particular type of stem cell, called mesenchymal stem cells (MSCs), than cord blood, and these cells are at present being studied around the world for a practical role in regenerative medicine, which targets to use these special cells to replace or repair diseased or damaged cells, tissues or organs. 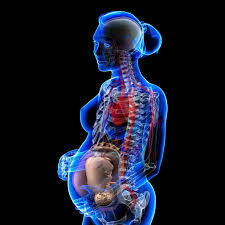 Placenta cell therapy is being tested for its effectiveness in the treatment or repairing of damaged organs or cells. Are Placental Stem Cells Pluripotent? There are different types of cells - totipotent, pluripotent, and multipotent. Totipotent Stem Cells - These cells can form an entire organism. Pluripotent Stem Cells - These cells can give rise to most tissues within an organism but not all. Multipotent Stem Cells - They are undifferentiated cells that are restricted to giving rise to only a certain population of cells. Placental stem cells are likely to be multipotent which means that they become a specific population of cells.